RAPAPORT... The UK will temporarily be unable to import and export rough diamonds if the nation leaves the European Union without an exit deal, the government has warned. The UK is currently a member of the Kimberley Process (KP) by virtue of its being in the EU, enabling it to trade internationally in rough diamonds. However, once so-called Brexit goes into effect on March 29, it will need to join the KP in its own right. Although the government is negotiating an EU departure deal that would keep it in all international agreements, including the KP, during an interim period, a “no-deal” Brexit could still occur. “In this very unlikely case, you would not be able to trade internationally in rough diamonds until we had secured our KP participation,” Deirdre Brown, head of the UK Foreign & Commonwealth Office’s multilateral policy unit, wrote in a letter to traders earlier this month. “To prepare for this scenario, you should consider whether you wish to make arrangements to have any rough diamonds on consignment or loan to countries in the KP (including the EU) returned to you before the UK has left the EU to avoid delays until we secure independent participation,” she continued. The UK government’s plan is to reach a deal with the EU that would ensure a transition period until the end of 2020, though both sides have considered an extension. After that, the UK would have to move to independent membership of the KP. “A scenario in which the UK leaves the EU without agreement…remains unlikely given the mutual interests of the UK and the EU in securing a negotiated outcome,” Brown added. 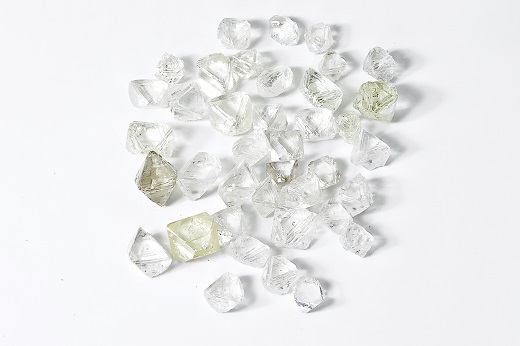 The UK’s rough imports are minimal since De Beers moved its sightholder sales from London to Gaborone, Botswana, in 2013. However, some miners still send goods initially to London before shipping them to Belgium, the Antwerp World Diamond Centre (AWDC) said.